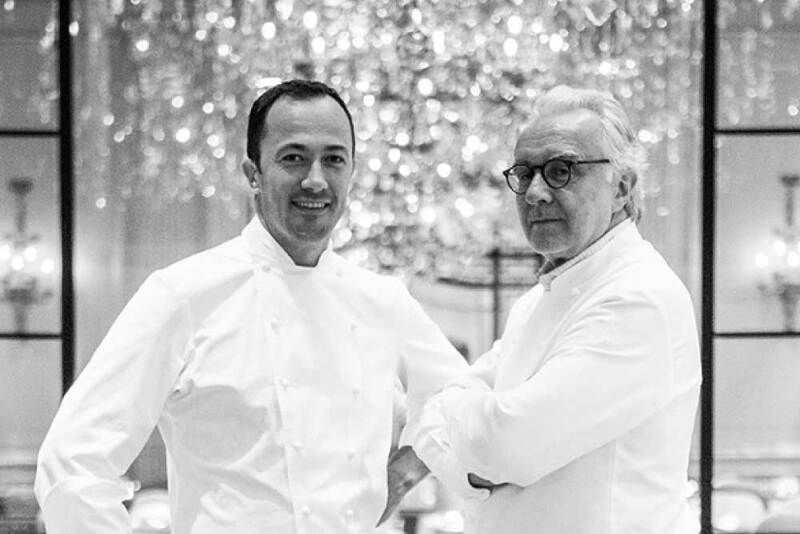 Named for the Chef, Kei Kobayashi, two Michelin star Restaurant Kei, in central Paris is today’s adventure. 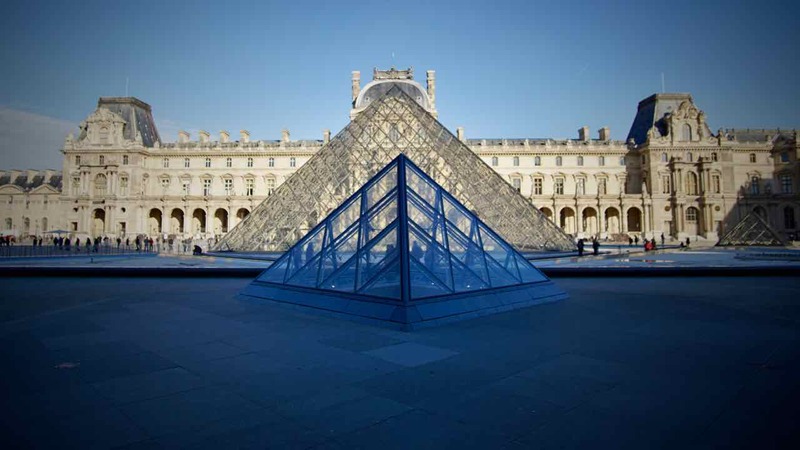 It is tucked away in a little side street only a few blocks from the worlds largest art museum the Louvre. 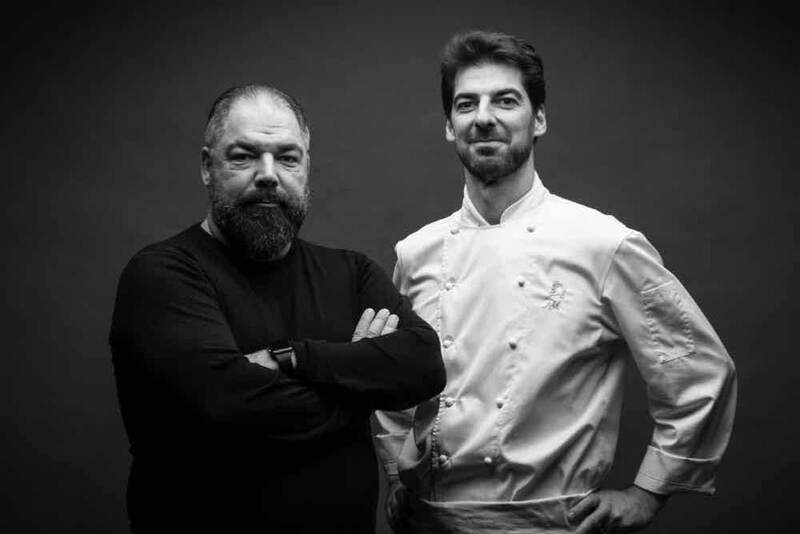 Searching out breakaway chefs who have begun their careers in the big houses and are now establishing their own identity, leads us to Kei. We have been particularly enjoying the magic that Japanese chefs bring to French Cuisine and by all accounts Chef Kei is a master. 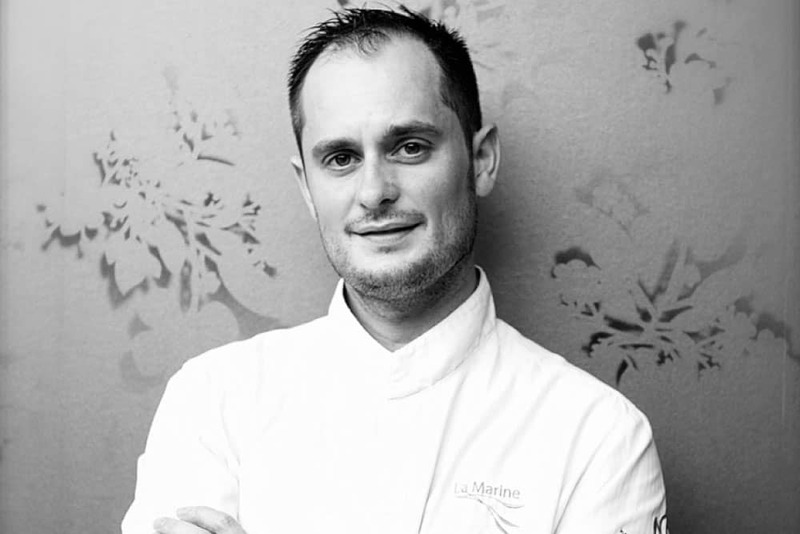 Kei has described his cuisine as French but with a touch of Japan in each dish. Although my love hasn’t said a great deal, something feels really good about this one. 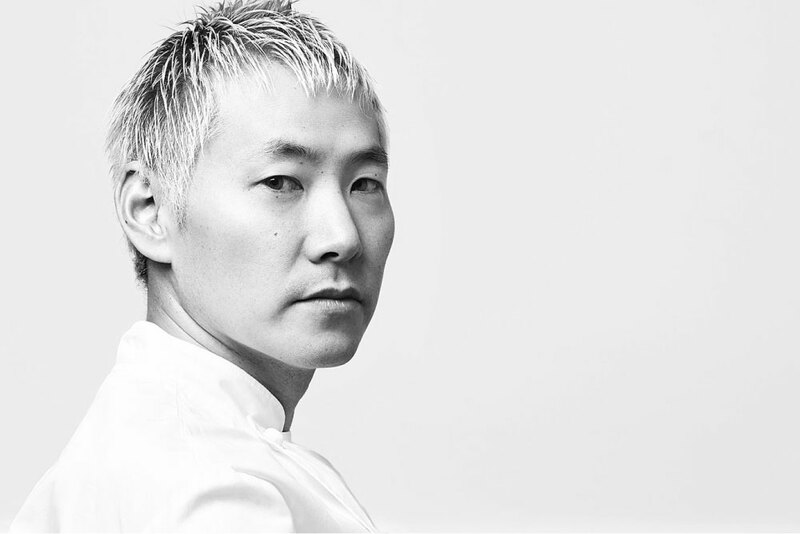 Kei was only fifteen years old when he decided not only that he would pursue a career as a chef but that he wanted to cook French cuisine in France! He began in Japan and then at twenty years old he moved to France. 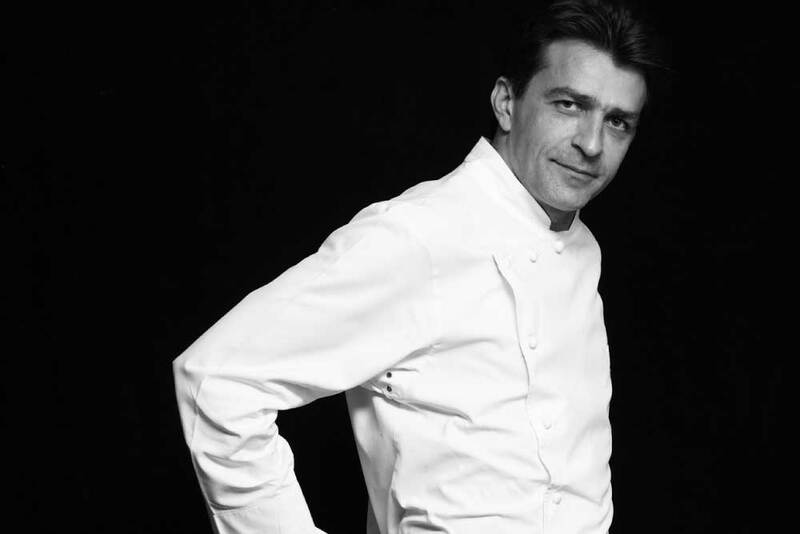 His career evolved and he worked with what could be considered some of the best three Michelin star chefs, Jean- Francois Piege and Alain Ducasse. In 2011 Kei took a giant leap and with his wife opened his own place. 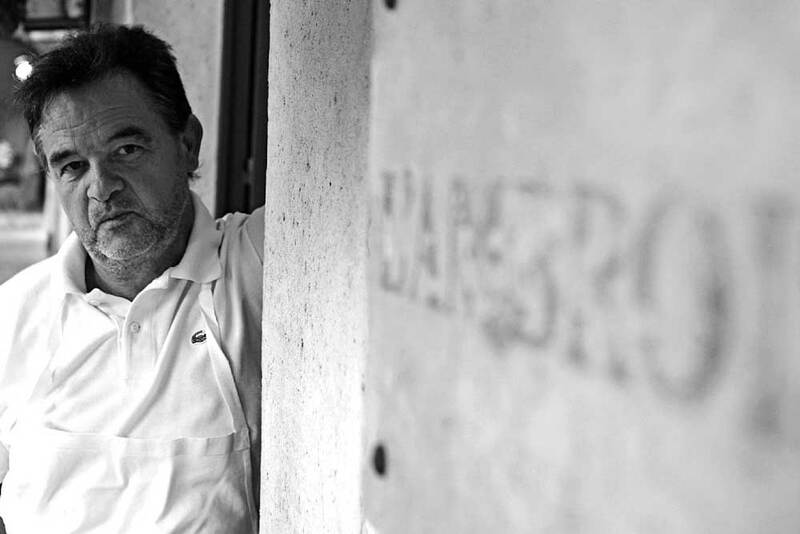 He quickly achieved a Michelin star and the release of the 2017 list saw him awarded a second star. I can’t wait to see how he expresses himself! 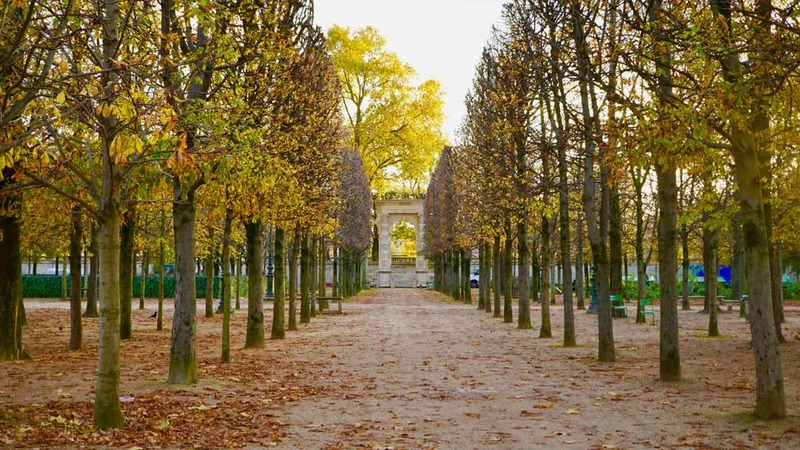 A day dreamy walk through the royal heart of Paris where grand Palais and formal gardens create a sense of splendid grandeur, is a perfect appetite builder. 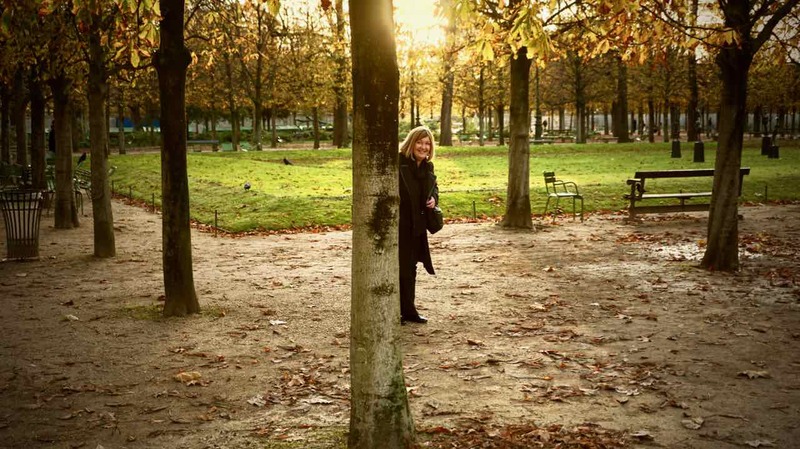 The Tuileries Gardens, always busy with tourists, but still magnificent. The symmetry of the long central walk framed by structured planting’s and sculptures is beautiful and the order of it is calming and relaxing. I particularly love the sculptures. My favourites are two female nudes with dogs at their feet. I think it’s that one of the dogs reminds me of our hound at home that makes me feel all warm and fuzzy! 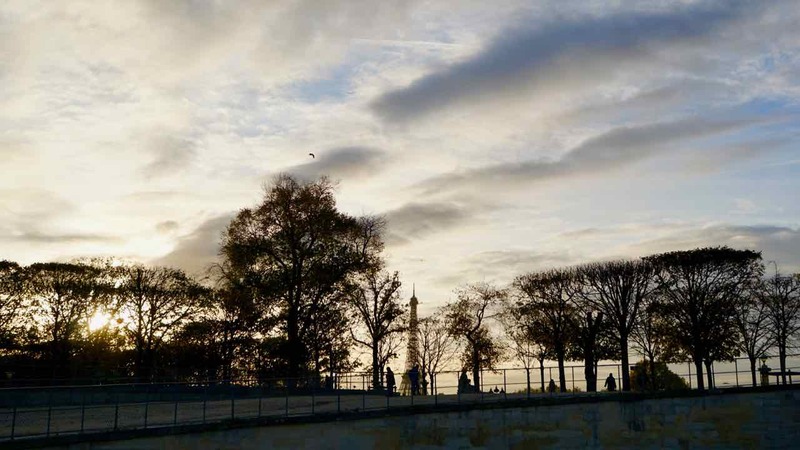 This central district of Paris is filled with a glorious selection of boutiques; jewellery stores, fashion and the most amazing shoes, providing a fun little window shopping walk. Then in a little side street we find the Restaurant. The entrance is simple and modern, I love it! Brushed metal walls, frosted white sliding doors and the strong Kei Logo. Emerging into a circular vestibule it feels a little Tardis like, opening through into an elegant, soft, fairytale space. We are escorted to what feels like the Royal table, in the front window, overlooking the restaurant, so perfect! And as as we ease very gratefully into the very comfortable chairs there is an audible exhale that says “ ahh, thank you!”. I think I need to write a little travel guide called “luxe pour le derrière” Luxury for the bottom, I would of course include chapters “porcelaine et velours”, porcelain and velvet! There are definitely places more comfortable than others in Paris, for dining and for other sit down situations! 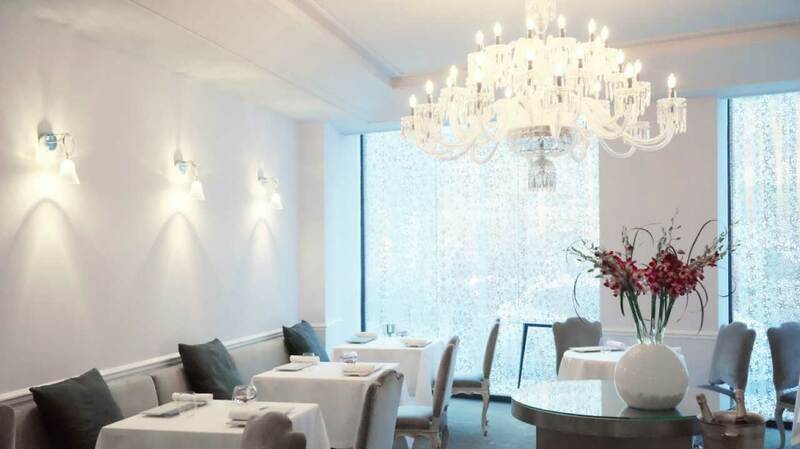 Here at Kei, the decor is a beautiful balance of modern simplicity and elegant luxury. Cool white and pale grey walls, with a stunning chandelier and soft pale grey velvet chairs creating a magic balance of old and new. A style very close to my heart. 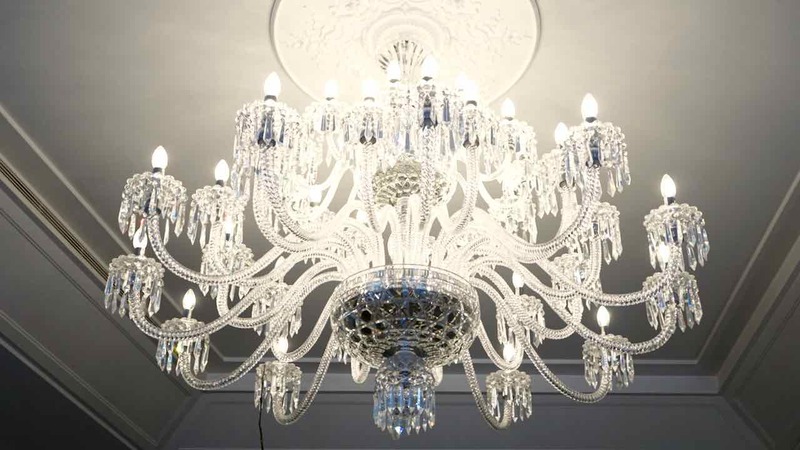 The chandelier is a larger but similar design to the one we have dangling in the “dine in an artists studio” space at home and the cool modern palate feels comfortingly like my studio at home where I paint and we welcome guests to dine. We of course, have fewer candles on our chandelier and only one table! Today we have preselected the Menu Prestige, so all we have to do is sit back, relax and see what Kei thinks we might enjoy today! And so it starts, with a mind blowing collection of little bites that tantalise the tastebuds and intrigue the intellect. Little amuse bouches, Granita with red Shiso, a fresh and lively palette viberer upperer that looks like a little square of watermelon served on a black spoon. 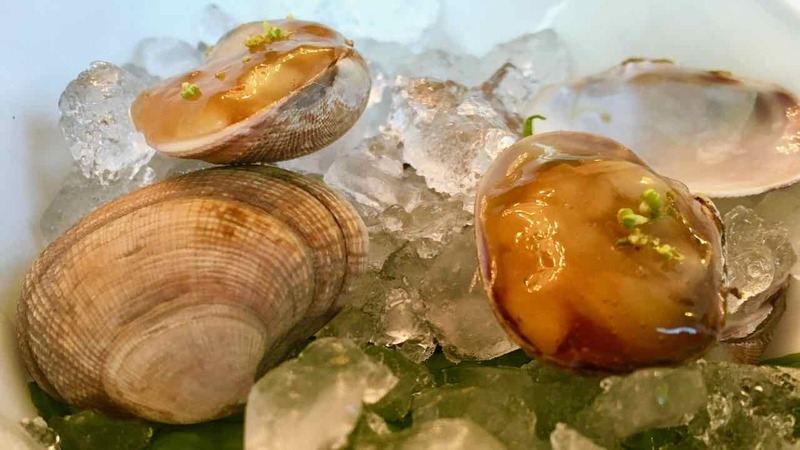 Clam accompanied by bouillabaisse jelly, a stunning burst of flavour slurped off the clam shell, yum! 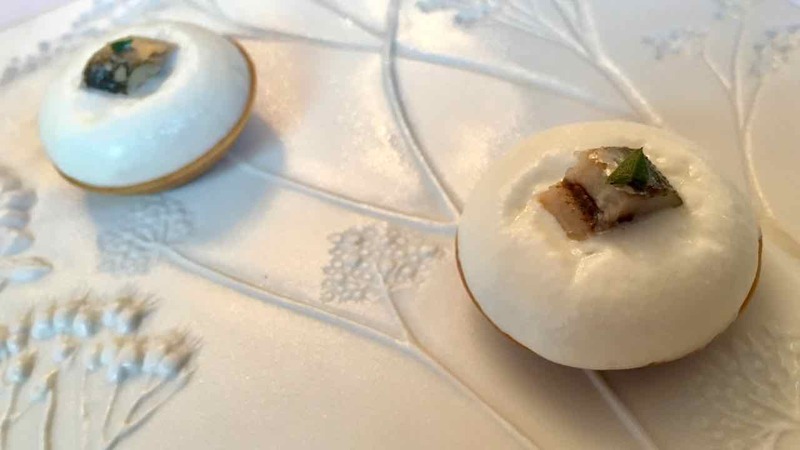 Yoghurt tartlet, Spanish sardine and red onion, robust flavours in an exciting little bite. 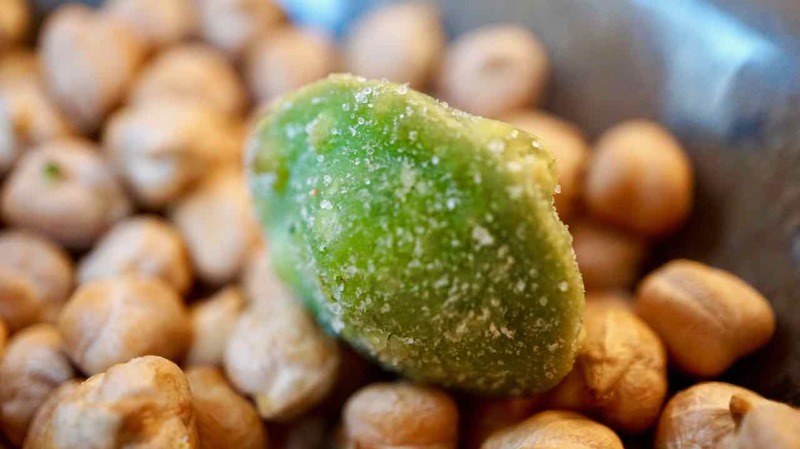 And a tiny green oval bite that looks like an olive but is really like a little ravioli. Parmesan, Swiss chard and ricotta all highlighted in this single bite! Our first plate is both luxurious and fascinatingly light and refreshing. Schrencki caviar, smoked eel frost, crab and watercress coulis. Visually, I love the vibrant story on the plate. 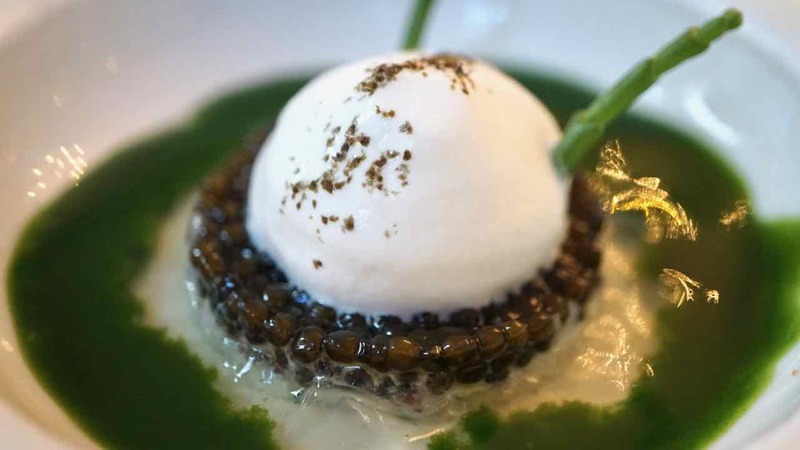 Deep dark chlorophyll green surrounding a disc of noir beads of caviar sitting on clear frozen smoked eel gel and topped with a dome of light fluffy crab snow. A visual, textural and flavour feast, what fun! Now chef Kei’s signature dish “Garden of vegetables”. 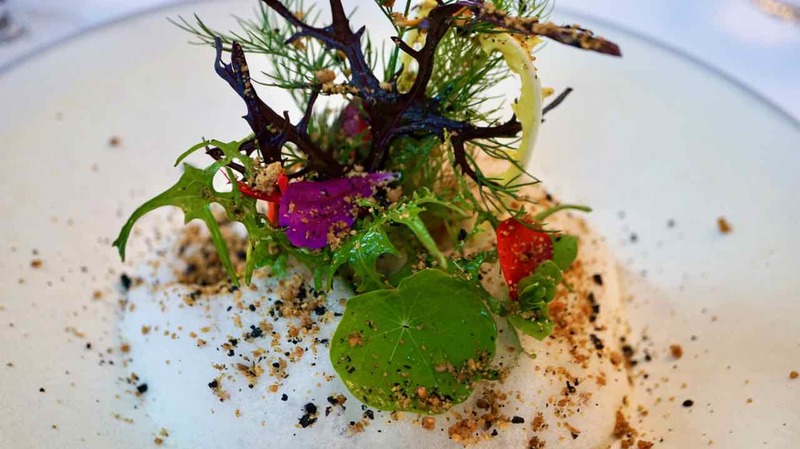 This was the first dish that Kei created when he opened his restaurant. 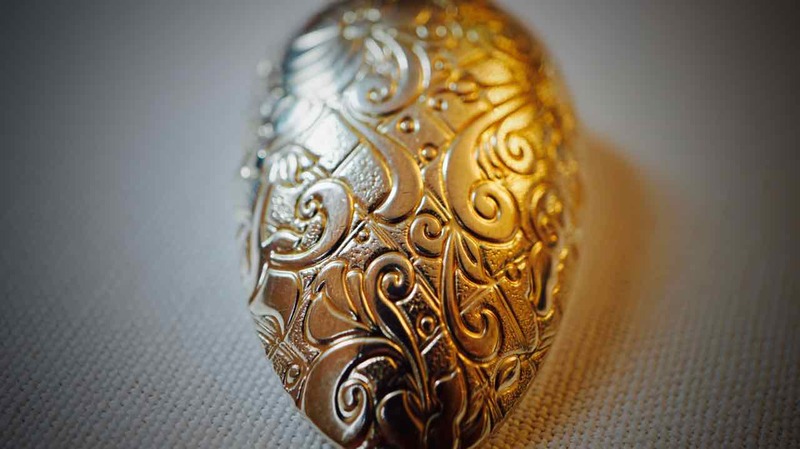 There are over thirty elements all perfectly balanced to create a most extraordinary combination. It is striking visually. A snow white foam mound supports a bright colourful arrangement of crisp garden vegetables planted in it to resemble a living garden. It is so pretty I could look at it for ages. Such precision, each element is prepared differently, raw, cooked, or just heated, to present the ingredient at its best. Digging in the garden we discover the smoked Scottish salmon hiding below. The flavours of this dish are incredible, arugula mousse, lemon emulsion, tomato vinaigrette all work together to elevate the vegetables and the fish to a most exquisite height. The final touch of an olive crumble is certainly not an afternoon thought. The salty crunchy olive flavour provides the perfect seasoning as well as a brilliant textural element. A small black bowl is next to arrive. 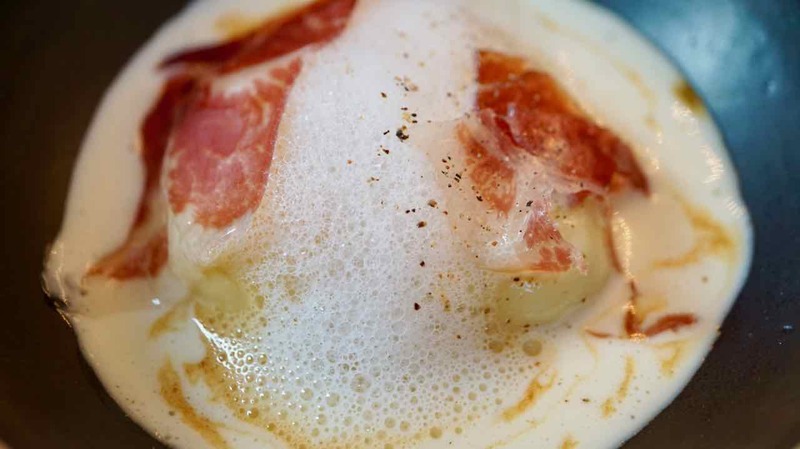 Inside is the most light, fluffy, pillow of gnocchi, bathed in a Parmesan cream sauce and topped with decadent slices of melty Iberico ham and a Jackson Pollock flick of veal jus. Ahhh this is just a great big hug in a bowl! It is simple, delicious and comforting. I feel happy and warm all over. And then a revelation, sea bass, not just with its skin on but also it’s scales! 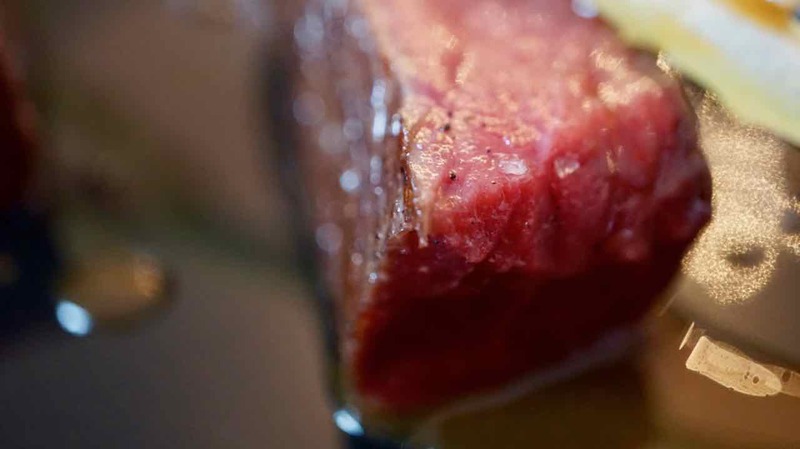 The slice of fish has been cooked on it’s scales till they are golden and crispy. It is served with a tomato vinaigrette and a Barolo red wine reduction. Embellished with cucumber flower and sea bean and a genius little anchovy paste. I have never eaten fish with the scales still on. The whole idea is slightly confronting but at the same time really exciting. The first bite is tentative, but oh my goodness it is fantastic. 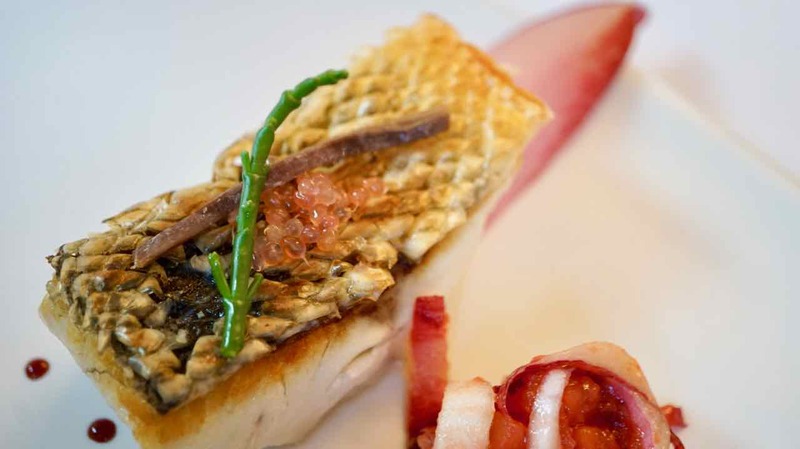 Like that deep richness that you get from roasted chicken skin, the scales are delicious, richly flavoured and crispy against the soft sweet tender fish. Suddenly I am laughing at myself, visions of scraping scales off fish in the kitchen sink, bits flying everywhere (still finding them two days later) and feeling the fish all over looking for the stray one that I might have missed. Turns out all I needed to do was crisp those scales up! I also get a little giggle thinking about those tv cooking shows where the furrowed browed judge pulls a fish scale from his mouth shaking his head at the distraught contestant. We are very much enjoying our special table over looking the restaurant. We get to watch the team working as well as other guests enjoying their day. There is a lovely quiet calm energy here, nothing is rushed, all the guests are quiet and considerate. One lady who had a quick lunch with a friend even bid us bon appetite with a broad smile as she passed our table leaving the restaurant. The staff are all wonderful. Our waiter, a slim Japanese fellow who looks like he needs feeding up, has a gorgeous quirky energy and patiently describes each dish for me. Our sommelier is a solemn chap, quiet but very, very good. He finds us a couple of cracker wines. Langoustines fumées au foin, fricassee de shiitake, recette et homardine. Our young waiter brings Langoustine and explains that it has been smoked in hay. It is served with a fricassee of mushrooms, leek and a cebette of lobster (think lobster bisque but so much more). We are advised to try the langoustine on it’s own first, then mix everything. Wow! The langoustine is barely cooked, just perfectly set. It is so good just on it’s own I am reluctant to adulterate it with anything else. 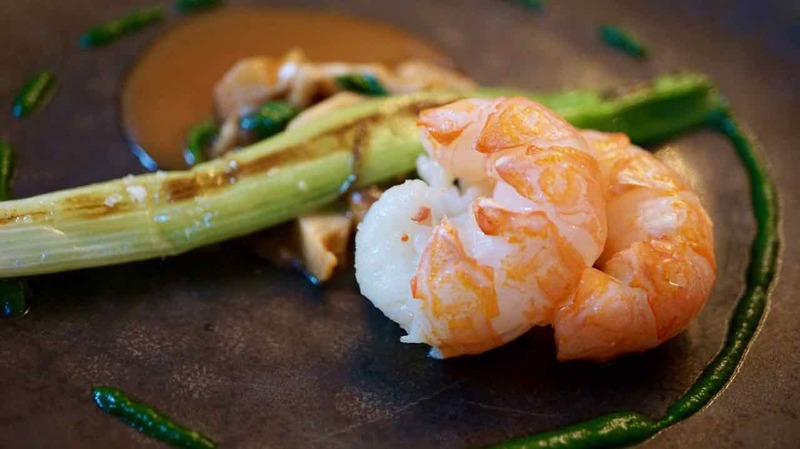 Tasting the combined flavours of sweet langoustine and leek, earthy mushroom and the fabulous lobster sauce is wonderful but I am still so very impressed with the pure simplicity of the langoustine that I tend to eat it mostly on its own. Kei could not have done more (or is it less?) to honour these crustaceans. Le Boeuf de Galice, courgettes confites au basilic, céleris et pissenlits condiment cresson, moutarde et raifort. Moving to the meat course, we are excited to hear that Kei has prepared for us 170 day dry aged boeuf de Galice. This beef from Spain has the reputation of being the best in the world. The “Galician Blond” (or Rubia Gallega) breed are grown in the north west area of Spain, Galicia. Rather than being slaughtered young, these cows are allowed to grow old, fat and happy for up to fifteen years more than average beef cattle, before they are turned into beef. This long luxurious life of being well fed and cruising lazily around the Spanish pastures lets the cattle develop both fat and flavour. Then the beef is further developed through dry ageing of the meat and today we are privileged to try beef that falls into the extreme ageing category, having been dry hung for 170 days. 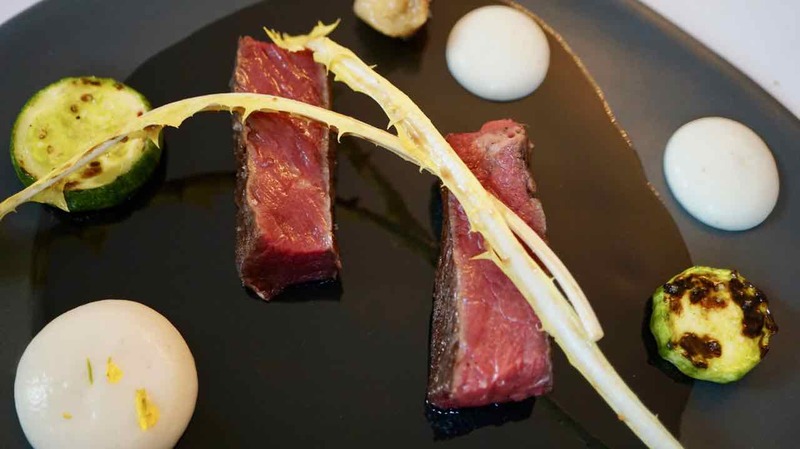 Kei has crafted an elegant and restrained plate that provides select complimentary flavours while maintaining the beef as the star of the show. A touch of creamy celeriac purée, zucchini, dandelion leaf and a watercress and mustard sauce are gestures on the plate. The beef, luscious crimson, not the usual pale blush, with a dark seared crust only on the very outer layer of the meat, looks wonderful. The fat of the beef, rich dark golden yellow, apparently from high levels of beta carotene in the grassy pastures they feed on, has been frizzled a la plancha (on the Spanish flat grill plate). The richness and depth of flavour in this beef is incredible. The meat is beautifully tender and sweet with hints of minerality that somehow make me think of cheese. The crispy little piece of fat is rich and delicious. The traditional French Cheese course usually appears as an optional course before dessert. Today however, Kei has woven a little taste of cheese into the menu. 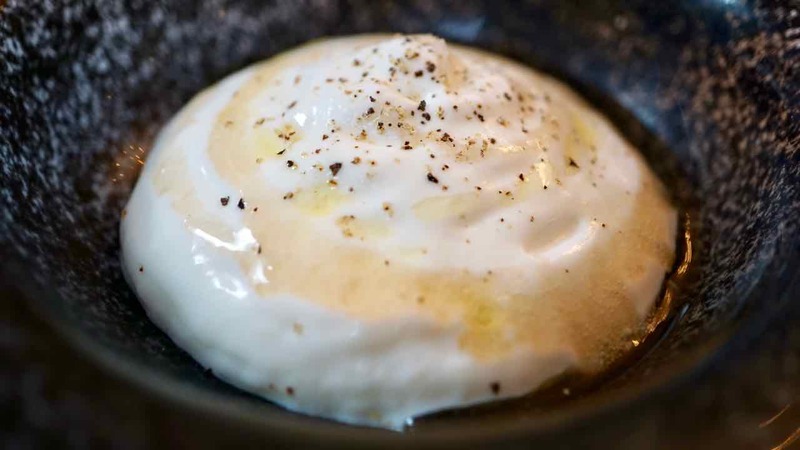 A small mound of goats cheese is presented drizzled with Sicilian olive oil. Then there is a fuss made over a big horn thing that we have seen being used at other tables. What’s with the big horn we wondered, I had bet on pepper, and I was right. A waitress brings the horn and explains that the pepper is from Vietnam as she waives said magical horn over put plates. The dish is so simple, the creamy cheese perfectly vibed up with grassy fragrant olive oil and Vietnamese pepper which has a nice heat and an almost citrus, lemony thing about it. So very delicious! It’s dessert time and a very pretty place to start is Kei’s version of the French classic Vacherin, meringue filled with fruit cream and sometimes ice cream. 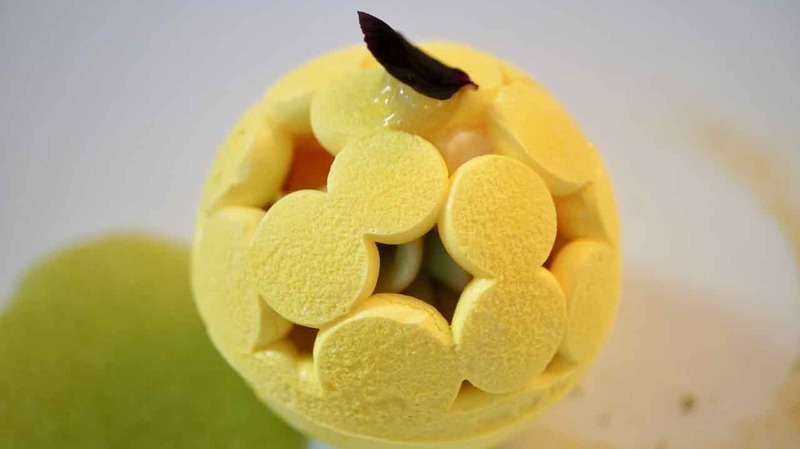 His creation is a bright yellow sphere made up of yellow meringue dots, poised on a white plate decorated with yellow yuzu dust. For the final flourish, the waiter pours a puddle of pretty green mandarin and basil sauce. Breaking open the sphere reveals a collection of exquisite deliciousness. Bright and refreshing lemon and basil sorbet, candied kumquat and a clementine Chantilly cream. This amazing little desert is refreshingly light and zingy. It has the perfect balance of sweet sour and bitter and for me the basil is a masterful inclusion. Now traditional Baba au Rum, but of course its all Kei style. 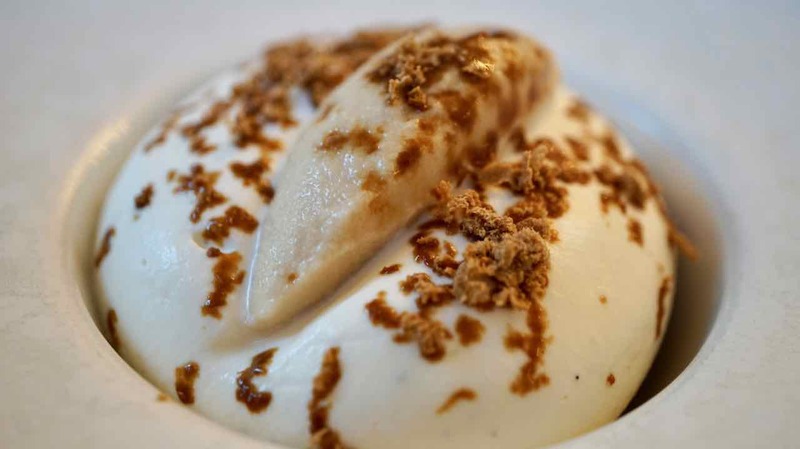 The rum soaked cake is in the bottom of a deep bowl, covered with a very light and airy vanilla Chantilly cream and topped with a long slender quenelle of sugar cane ice cream. The flavours are just divine the cream has a decadent moth feel without feeling heavy or rich the moist boozy cake is sumptuous and the sugar cane ice cream is very special. Yum! And to finish, two tiny little bites of heaven. 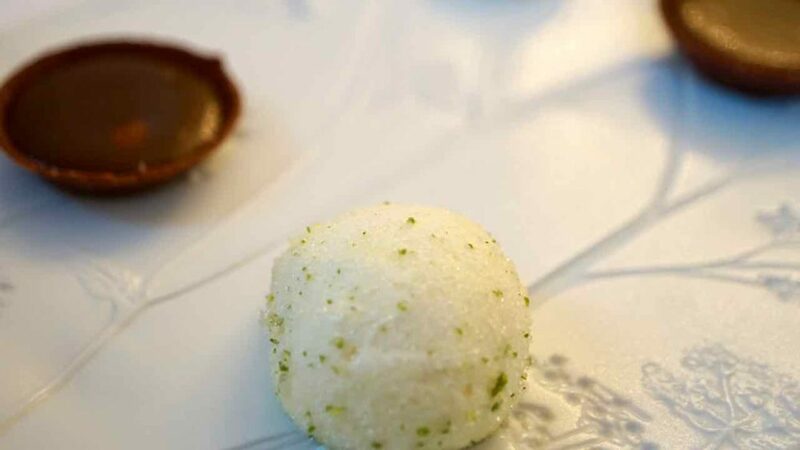 A passionfruit and lime marshmallow sphere that is light, squishy, sweet and zingy all at the same time. Then a tiny burnt butter caramel and nougat tartlet. Absolutely sensational. It has been a magnificent and memorable meal. Elegant cooking with the entire experience considered and thoughtful. Kei’s artful plating, imaginative flavour combinations and cooking techniques are gentle whispers of true creative soul. There is a lot of love poured into his creative practice, you can taste it and feel it. Kei has an eye for a graceful aesthetic that is both incredibly beautiful and warmly welcoming. One of the important things food provides is comfort and one of the very moving things for me about Kei’s cuisine is how he has managed to evoke that cosy warm sense of comfort in his dishes while still presenting fine art. I had asked for a copy of the menu, to add to my little keep sake collection and I was excited to see that it was signed and dated with an uplifting little drawing of the sun also added. A poignant reminder of the love and light that Kei has brought into my life today. We finished our final sips of a warming digestive and content and happy, headed back out to the circular vestibule to collect our coats. Kei popped out from the kitchen to say goodbye and shake our hands. His bright yellow blonde do and quiet demeanour a fascinatingly contradictory mix. His energy felt to me like that of an introverted extrovert. As a creative soul who is also quite shy I feel in him a kindred spirit. As we bid Kei and his gorgeous team farewell, I take with me a powerful reminder that when you are creative, you just have to create! Those that will appreciate what you do will come and those that don’t come probable wouldn’t have appreciated you anyway. Our walk back through the gardens is happy and playful, hiding behind trees, marvelling at the yellow trees that are softly reflected in the gardens ponds and laughing at sculptures. What a magic adventure and a glorious day!